White collar crime is a type of fraud which is usually committed against corporations or organisations. Generally, white collar crime is committed by employees of these organisations. Although there are a number of penalties that you can receive if you are convicted of this type of crime, they are generally not as severe as if you are convicted of social security fraud. The penalties for white collar crime in Australia lag significantly behind the rest of the world. A recent report by the Australia Securities and Investments Commission (ASIC) shows that the law in Australia is limited in its scope to be able to penalise white collar criminals compared to other countries, including the UK and the US. When it comes to prosecuting white collar criminals, the law is confusing and there are a number of different offences carrying different penalties. For a fraud or an insider trading offence, the maximum sentence is generally 10 years’ imprisonment and a fine of up to $200,000. Those convicted are not required to give up any financial gains they may have made through their activities, and considering that gains can be in the millions, a $200,000 fine often doesn’t have much of an impact on their overall financial situation. This is a poor comparison to other countries where fines can range up to $1 million, as well as three times the amount of money gained. Being required to repay their gains and an additional large sum is believed to be much more effective as a deterrent than the legislation as it stands in Australia at the moment. 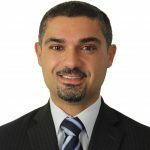 Currently although ASIC doesn’t have the power to chase after any gains brought about by deception, other agencies including the ACCC can, but it is very rare that they do. On the other hand, the penalties for social security fraud in Australia can include steep fines and up to ten years in prison, even though the amounts defrauded are generally much smaller, and the offenders are often people who are already suffering extreme financial hardship. In a recent case, a 51-year-old woman was sentenced to 12 months in jail for defrauding the Commonwealth of $32,000 between 2007 and 2011. She was ordered to serve six months of that sentence and to repay the $32,000. She was also placed on a three-year good behaviour bond. It is common for those found guilty of Centrelink fraud to be required to pay back any gains they made from the fraud, whereas convicted white collar criminals often are not ordered to. Paying back even a small amount of money can cause a great deal of financial hardship for someone who is unemployed and on welfare, while the fines imposed on some white collar offenders may barely make a dent in their financial gain from the crime. Although white collar fraud and welfare fraud involve many of the same types of activities and behaviour, the circumstances of the people committing them and their reasons for offending may be very different. Both types of fraud involve deception and they are often carried out over a long period of time, but people who are on welfare are often considered to be among the most vulnerable members of the community in Australia and may have complex reasons for committing fraud. 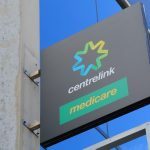 Those who are being charged with Centrelink fraud may be treated harshly as a way for the government to deter others from committing similar offences, while white collar criminals have less to deter them. Those who commit white collar crime are often affluent, educated and employed and work in middle management-type positions. Often they enjoy a comfortable income and lifestyle and their crimes may be motivated from greed and opportunity rather than financial hardship or necessity. The sums of money involved in white collar crime are often much larger than those involved in social security fraud yet white collar criminals can often get treated with more leniency than is shown to those accused of social security fraud. 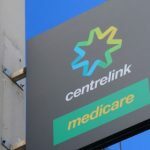 In a well-publicised case last year, a single mother of four was jailed for defrauding Centrelink of $28,150 over a period of four years by under-declaring her working hours when she worked part time as an aged carer. Although she had a history of post-traumatic stress, anxiety and depression, and was remorseful, she was required to serve a three-month sentence. She was also ordered to undertake 168 hours of community service and to repay the money. In another well publicised case in 2009, Gunns boss John Gay was convicted of insider trading and given a $50,000 fine and no jail sentence. His overall gains from the transaction were believed to be around $800,000. Last year, it was reported that the AFP was planning to recover the money, but as the assets hadn’t been frozen at the time of the conviction, the seizure would be unlikely to succeed. The penalties for social security fraud and white collar crime seem to be vastly unequal when you take into consideration the overall amount gained and the circumstances of the offenders. With the recent ASIC report, however, it looks likely that heavier penalties for white collar crime will be introduced in the future.